Ukraine has the fastest falling economy of 2015 according to the British periodical The Economist. The country has seen its GDP shrink by 6.5 percent since last April, with countries like Libya and Macau performing better. 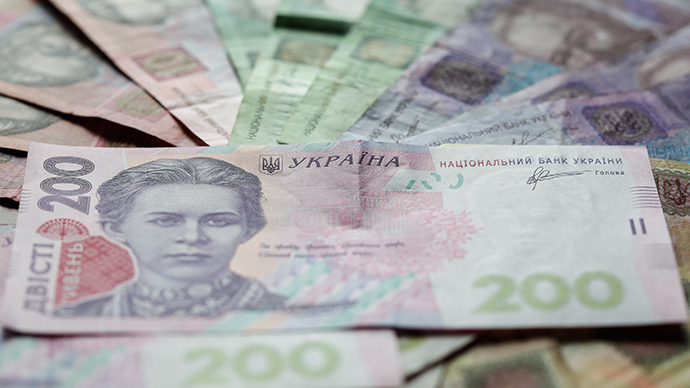 The Ukrainian economy showed the most significant deepening recession compared to the rest of the world, according to the data, published on Wednesday by the head of the analytical department of the Economist Robert Ward. The research compared the one-year GDP growth of countries since April 2014. Libya’s economy dropped by 6.4 percent while Macau which turned out to be the third worst performing economy, experienced a 6 percent GDP decline. Equatorial Guinea came out fourth with a 5.5 percent GDP decline and fifth place went to Russia as its GDP fell by 4 percent. Greece took fifteenth place, the country’s GDP showed a very slight decrease, according to the Economist. On Monday, the head of Ukraine’s National Bank Valeria Gontareva said that the country’s economic recession had hit bottom and predicted gradual recovery starting from the second quarter of 2015. Later on Wednesday, the World Bank lowered Ukraine’s economic outlook, projecting the country’s GDP will fall 7.5 percent in 2015. The Economist also published a ranking of the fastest growing economies in the world up to April, which puts Papua New Guinea on top. Five African countries are among the world's fastest growing economies. BRICS countries are represented by India at number six and China ranked as the twelfth fastest growing economy.